Ingersoll Rand pneumatic air starters can replace any factory mounted starter engine and simultaneously offer a variety of helpful benefits. Compared to conventional electric starters, a pneumatic air starter occupies considerably less space as it is run by air. Pneumatic air starters are also considered safer in hazardous environments as they do not produce electrical sparks like electric starters sometimes do, thus eliminating the risk of igniting flammable materials that may be present. 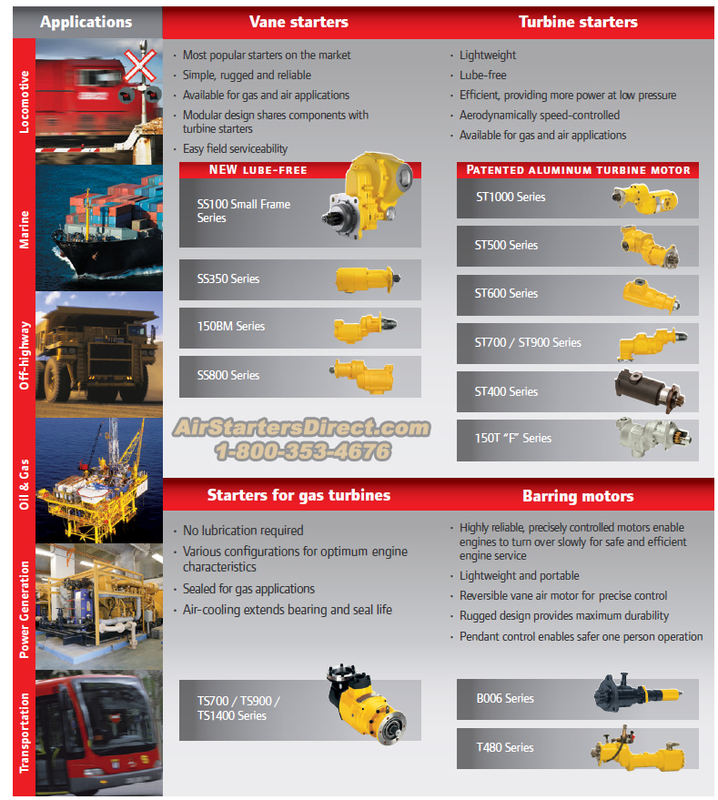 Ingersoll Rand air starters have significantly more torque than electric starters of equivalent size, and that allows even a small air starter to start very large engines and turbines. In addition, electric starters as well as their wiring may become excessively hot in the event that it takes longer than expected to start the engine, while air-starters can be run for as long as their air supply lasts. 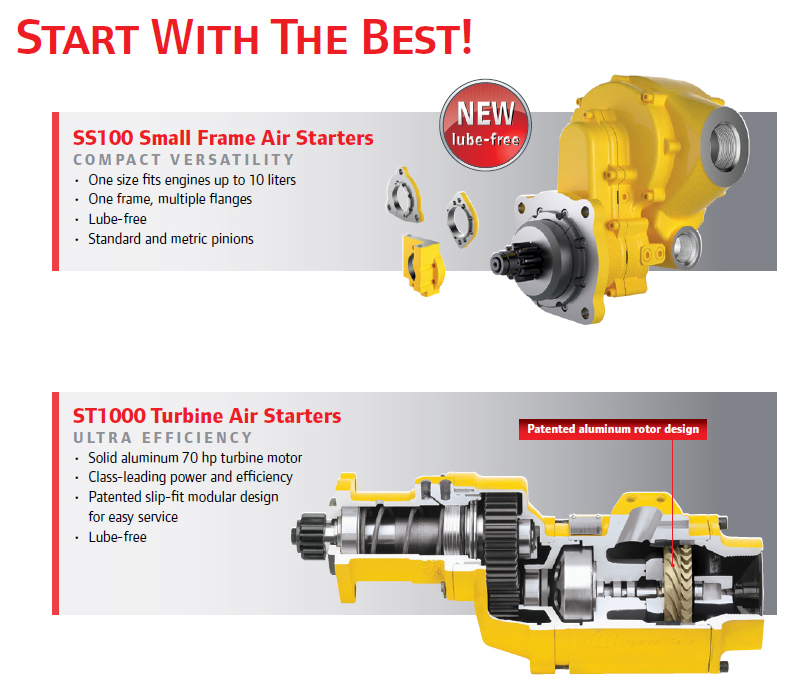 Turbine starters provide even more torque and tend to be simpler, and therefore are a natural fit for turbine engines. Turbine air starters are utilized extensively on large turbofan engines commercial and military aircraft; as well as marine ships and vessels, trains, heavy construction equipment, and more.